Sitting in Howard University's Burr gymnasium, Malcolm Scott (a.k.a. 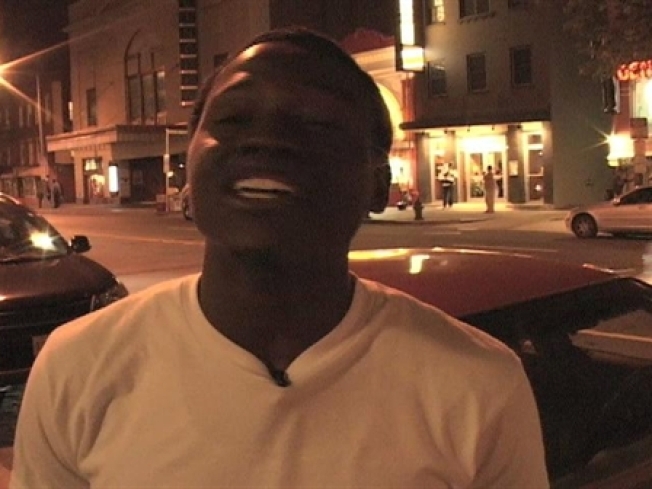 Rallo Boykins) is approached by a man who just heard that Boykins is a comedian and asks him to tell a joke. Boykins throws it right back at him: "Tell ME a joke." So he does, and with big Kool-Ade smiles on their faces, Boykins says it's moments like this that explain why he does comedy. He loves making people laugh -- or, in some case, vice versa. But comedy was not always his passion. Boykins, 22, an advertising major at Howard, was just your run-of-the-mill college student who liked to play video games. It was not until his friend Steve Warner asked him to perform for their peers at a cookout that he realized his true calling. His style of comedy relates more to what he’s seen through his years growing up; his routines touch up relationships, clubs, parents and trying to stay afloat in the recession. He watches tapes of great comedians like Dave Chappell, Martin Lawrence, Bernie Mac and Cory Holcomb to improve his own performances. “You have to watch the greats in order to get better; plus, watching them lets me know what I can do better, and it gives me ideas for new material,” said Boykins. His studying paid off. At Howard University's Homecoming last year, the young comedian shared on the stage with one of his idols, Cory Holcomb of MTV’s “Wildin Out." To date, that's been Boykin's biggest show, and he got to have his moment in front of all his Howard friends. “I had to bring it that show; I felt that this was going to be my make it or break it moment,” he said. With everyone watching, Boykins rose to the stage and did what he does best. His early moments were rough -- the audience didn’t laugh at his jokes at start. But as he continued, the crowd warmed up, and by the end, Boykins received a standing ovation. After watching the young comedian, MTV's Holcomb praised his talents, saying Boykins did better than some of the better-known comedians on the bill. This upcoming school year will be Boykin's last. After he gets his bachelor’s in advertising, he plans to pursue comedy full-time while also trying to break into acting. If you want to catch his act before he blows up, catch him Wednesdays at Indulj (1208 U St. N.W. ).